Modern manufacturing tools are generating vast amounts of data every day and transmitting it through the internet of things (IoT). The problem? Many manufacturers don’t have the tools or capabilities to accurately collect, organize, and analyze this data. Discover the different ways manufacturers can use data generated by the IoT, and what tools companies are using to leverage analytics to improve supply chain management processes, and transform information into actionable insights for more informed decision-making. 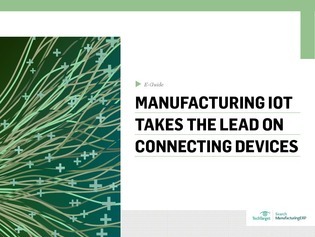 In addition, find out how your peers in manufacturing are tapping into data derived from the IoT.